Marker #2921 - 1970 First and only courthouse in county. 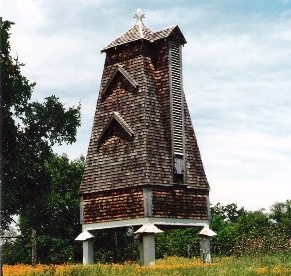 Erected 1869-1870, seven years after county organization. Many locally prominent men were associated with the structure. The first county judge, Joseph Graham, was appointed U.S. Consul to Argentina. The first sheriff, Capt. John Sansom, was a member of the U.S. Army, a Texas Ranger and Indian fighter. S. B. Patton, former Alabama legislator, was elected second county judge. Early records reveal cases for horse theft, cattle rustling, illegal sale of liquor, assault. An addition was built in 1909, and structure was remodeled, 1954. 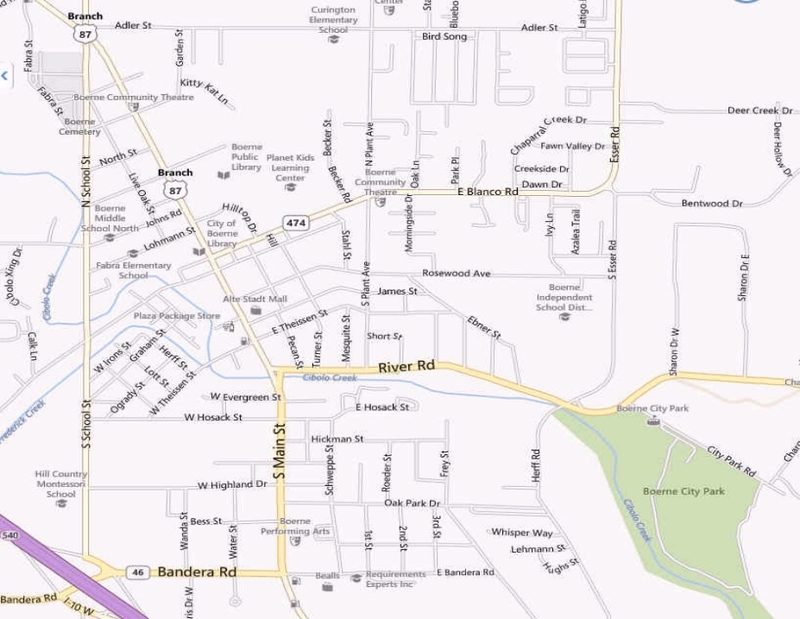 (San Antonio and Watts Streets, east of Main Street, Boerne) Kendall County was created in 1862 by the State of Texas in response to a petition by its area residents. 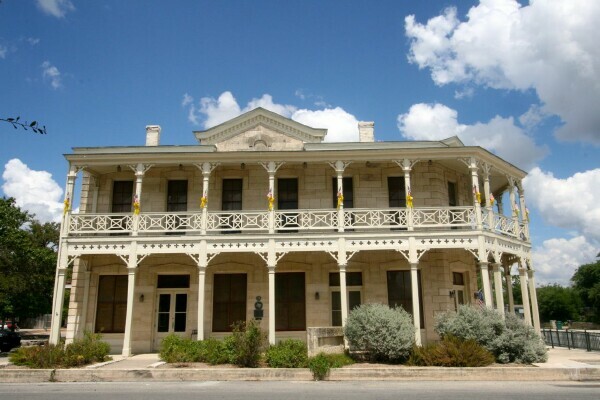 The courthouse was built in Boerne, the county seat, in 1870. An entirely new front half was added in 1909 at a cost of $5,750. Alfred Giles was the architect. Mr. Alfred Giles was born May 23, 1853 in Middlesex County, England. He died August 13, 1920 at his ranch, "Hillingdon" near Comfort, Kendall County, Texas. He came to Texas in 1873. 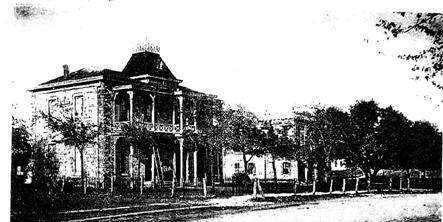 By 1876 he had established his own architectural firm in San Antonio. Giles became an architect of international fame doing many buildings in Mexico as well as in Texas. The back half of the courthouse was the original 1870 two- story structure that was rectangular in shape and was made of limestone blocks. In 1909 the courthouse was expanded on the South side which essentially doubled the size of the building. Alfred Giles was the architect for this project. Then the entire courthouse was remodeled in 1984. 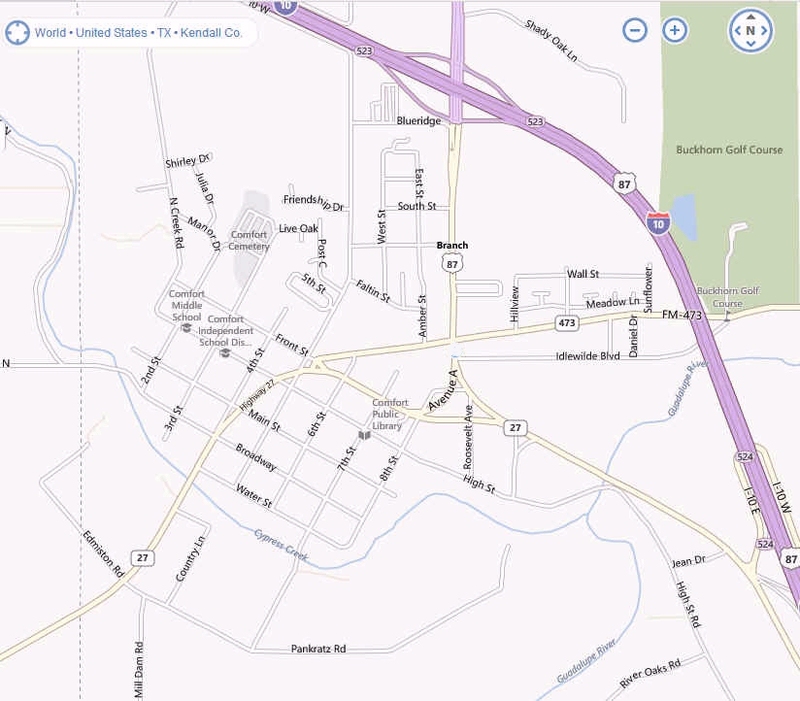 The block of land where the courthouse is located was given to Kendall County by John James, the public surveyor who surveyed the city of Boerne for Gus Theissen. Records show that Joseph Graham was the first County Judge of Kendall County. Captain John Sansom, an early Texas Ranger, was the first County Sheriff. Marker #3145 - 1987 Ludwig Hein (1855-1933) came to Texas from Germany in 1877. He married Rosa Treiber of Waring and built this home for his family before 1900. Hein operated a blacksmith shop next door until the family moved to San Antonio in 1914. The home was known as the "nerve center" of Comfort when the local telephone switchboard was housed here from 1923 to 1955. Features of the Victorian house include its front bay window and bracketed porch supports. Ludwig Hein was born in Steinhoefel Kreise Friedeberg, Berlin on October 9, 1955. In 1877, at age 22 he immigrated to the United States via the Port of New Orleans, and crossed country until he reached Waring, Texas. Ludwig, from a family of 11 children, was joined in this country five years later by the passage of his parents, Henry and Ottilie Hein to Waring, Texas. In Waring, Ludwig met and married Rosa Treiber. Rosa was born August 19, 1867 in Burgenland, Austria. She, too, had immigrated to this country. On January 8, 1890, Ludwig Hein purchased Lot 93 in the township of Comfort from Achese Auguste for the sum of $150. The Hein house, built before 1900, served as the home for the Hein's when Ludwig had a blacksmith shop next door. Six children were born to Ludwig and Rosa. Son, Frederick, remembers how hard his father, Ludwig, worked in the tin blacksmith shop which adjoined their home directly on the southside. There were many horses to shoe as well as difficult wheel rims to mend. In 1914, Ludwig moved his family to San Antonio so that his younger children might attend school there. On April 19, 1923, Southwestern Bell moved the local switchboard from the Koblin Building to 727 High Street. Miss Augusta Allerkamp was in charge with 340 local and rural lines coming into the Comfort switchboard. In 1925 Mrs. Grace Martin assumed management of the switchboard. The main switchboard was located in the front room while the remainder of the home served as Mrs. Martin's living quarters. The dining room of the home also served as one of the first lending libraries of the town, when in January, 1941, Mrs. Martin begin keeping the library books. In 1947 Zahn Green purchased the Comfort and Center Point Exchanges which operated as Hill Country Telephone Company. With the advent of the dial system, Green sold out in 1955 to Hill Country Telephone, ending a 32 year era of Comfort's History. The simple frame home was typical of those built in Comfort at the Turn of the Century as indicated by the porch columns, brackets and exposed rafter. The back portion of the house was added to the original structure before 1936. The house was given a Historic Marker in 1987. Marker #2977 - This structure was built in the late 1880s as a residence for German native William Kuhlmann (1856-1918), a successful pharmacist and landholder. 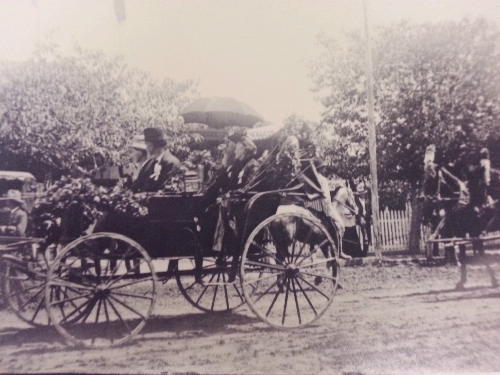 He sold the home in 1908 to Selina Long King (1831-1910), whose sons operated the local King & King Lumber Co. The Boerne Independent School District owned the house from 1920 to 1951, using it for rental property as well as for school-related purposes. Hill Country artist Harry Anthony DeYoung (1893-1956) leased the house for two years while teaching art in San Antonio. 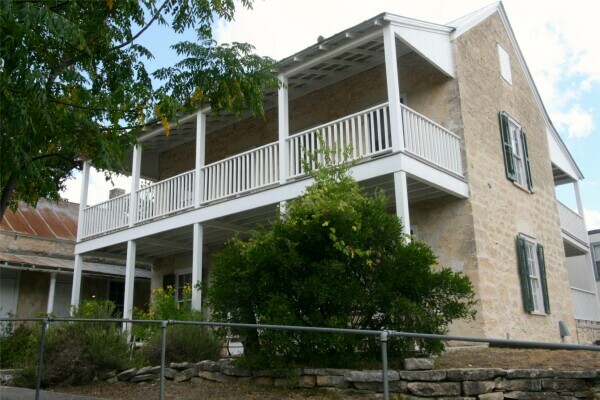 The Kuhlmann-King house has been owned by the city of Boerne since 1951. (on W side of city hall) Two story rubblestone symmetrical with two story gallery across the front (West) side. Originally the house had two upper and two lower rooms. The gallery on both floors extended around to the entire south side. The stairs to the upper floor were on the outside of the house on the East, or back side. As was the custom, there were no closets in the entire house. The house has one central chimney, with the fireplace on the southwest room. The remaining three rooms had openings into this same chimney and wood stoves were used for heating. The walls in the house are approximately 15" thick and the 9 foot ceilings inside are beaded board. The upstairs floors are still the original random width planks varying between 10" and 12" in width. The floors on the first floor have been replaced and are now of 3" narrow pine flooring. The house had a gabled roof and 6x6 sash windows.,br>Today the gallery on the south side of the house is gone. It is believed that the south portion of the porch was removed in the late 1920s when a major change in the house was made.The wooden portion of the house was added to the east side about the same time the south side gallery was removed. This new addition brought the house the newest conveniences. The outside stairs were removed. Traces still show on the rock and the door upstairs is still there. New stairs were built inside the southwest room. Closets were built in this room as well as the room directly above. A gallery and a modern kitchen (to take the place of the separate outdoor kitchen) were added to the first floor. On the second floor, a bathroom was added above the new kitchen and a second floor gallery was added above the new one on the first floor. With this new addition all the plumbing and water pipes were used without having to go through the thick rock walls. The land, out of Lot #9 and #10, on which this house stands was sold by John and Helene Werner to William Kuhlmann on March 26, 1883. Just what year the house was built is not known thus far. It was built by William Kuhlmann between 1885-1890. Mr. Kuhlmann became a naturalized citizen of the U.S. on Feb 5, 1890. He was born July 2, 1856 in Germany. He died in Boerne of pneumonia on Dec. 18 1918. The doctor in attendance was Dr. Wright. Undertaker - Ebensberger & Wendler - buried in Boerne Cemetery. Mr. Kuhlmann returned to Germany to marry his sweetheart, Marie, and brought her back to live in this house. On Dec. 27, 1896 Marie died during childbirth. The child never lived. Marie was born Sept 13, 1854 in Germany. The couple is buried in the same grave in the Boerne Cemetery. Mr. Kuhlmann sold this house with improvements to W.F. Shirer but Mr. Shirer sold it back a year later because of the lack of finances. In 1902 Mr. Kuhlmann sold the house to Selina Long King. The King family lived in the house until 1920 when Mrs. King died. The house was sold to the Boerne School District. The house was used to extend the facilities of the school which was in the adjacent building just south of the house. In 1951 the school system no longer needed the buildings in this location, thus it was sold to the City of Boerne. 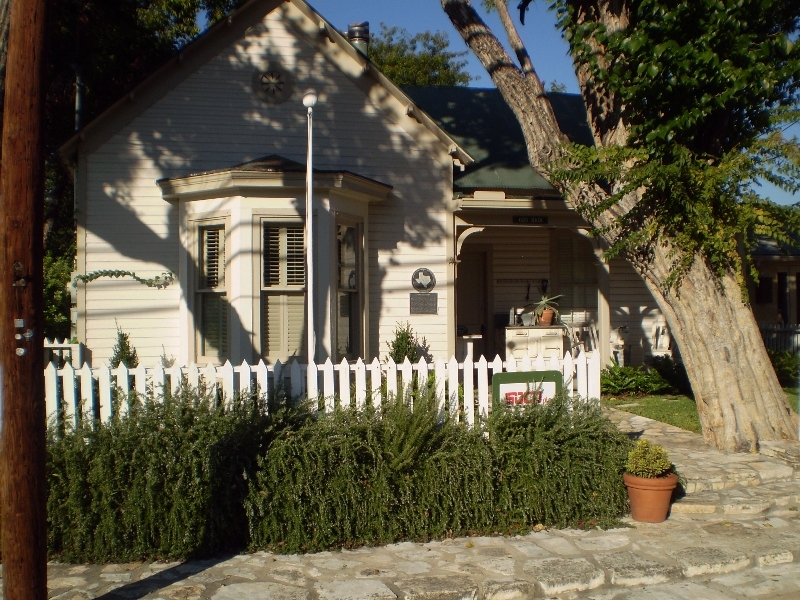 In 1971 the Boerne Area Historical Preservation Society was given a twenty-five year lease on the house for a museum. Marker #1337 - 1986 The origins of public schools in Boerne date to 1873, when the Boerne Gesangenverein donated land on which to erect a schoolhouse. 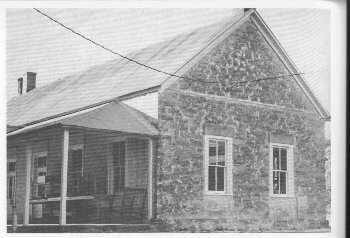 A two-room stone building was completed in 1874 and served children in all grades. A small frame building was added to the property around the turn of the century, and the upper and lower grades were separated. In 1910 a new two-story stone school was built. 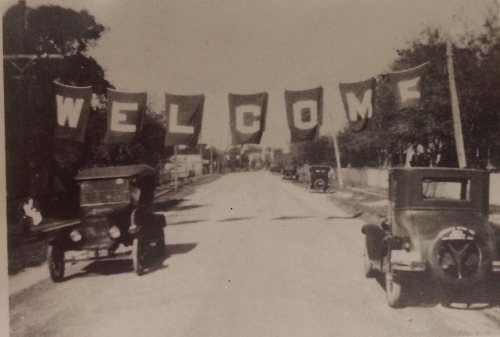 It served students of all ages until a high school was built on Johns Road in 1929. The 1910 building was sold to the City of Boerne Utilities in 1951. Texas Sesquicentennial 1836-1986 (At city hall 402 E. Blanco) On September 15, 1871, the Boerne Gesangenverein purchased Boerne Lots 119 and 120 of the Kuhlmann and Ryan Addition. 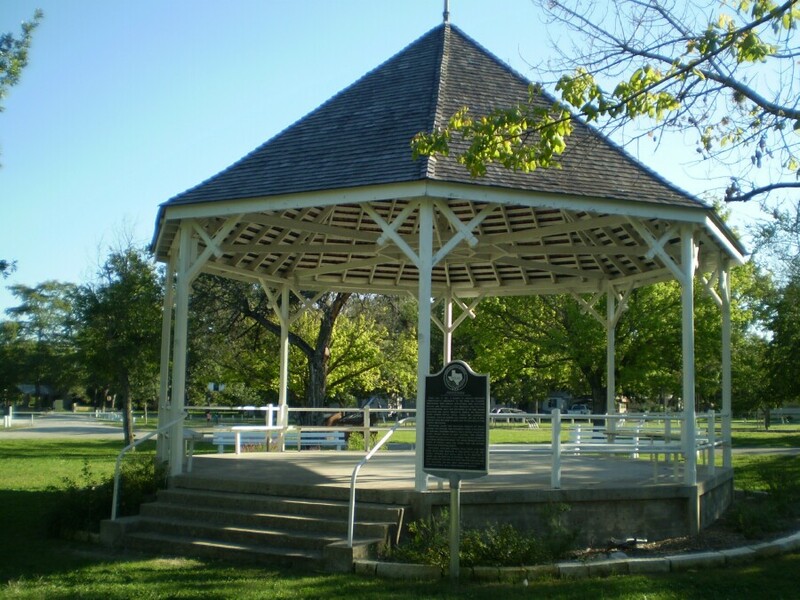 On Jun 17, 1873, the Gesangenverein, at a regular meeting, resolved that they donate lots 119 and 120 to the Boerne School Society provided and on the condition that the Boerne School Society will within one year build a schoolhouse with at least two rooms. 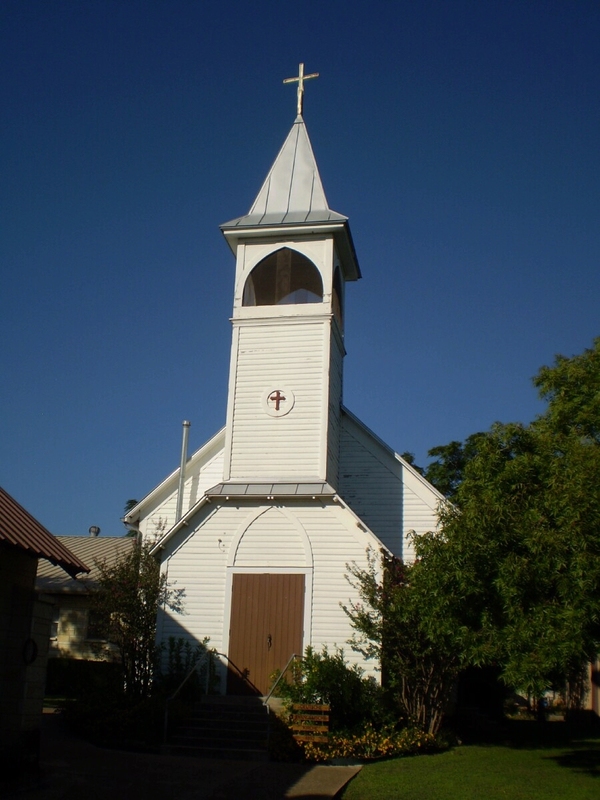 On August 18, 1874, the Gesangenverein resolved that whereas the Boerne School Society had completed a two room schoolhouse on Lots 119 and 120 by June 17, 1874, that they be granted the deed to the two lots, "in consideration of the benefit accruing to us and our children from the establishment of an institute of learning in the Town of Boerne." 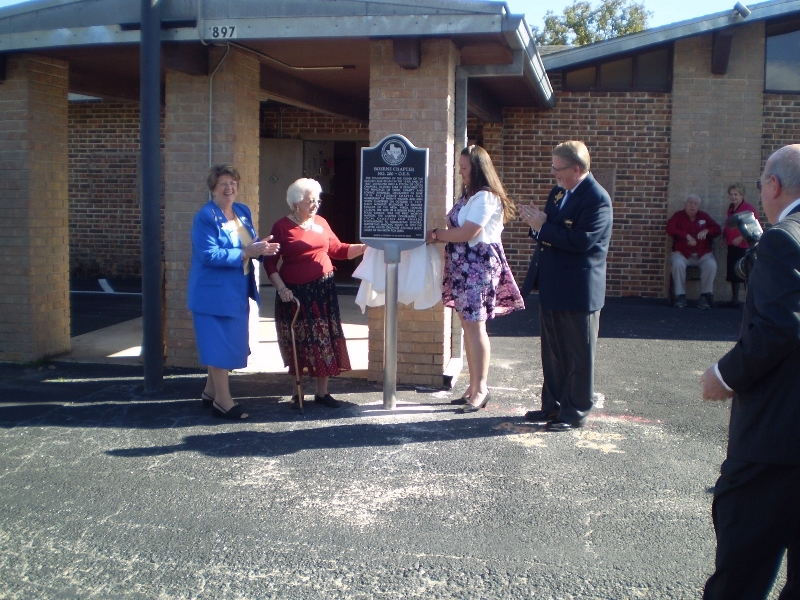 This, then, was the beginning of the first official public school in Boerne. This building was used as classrooms, a lunch room, exercise room at various times while a school. It became a workshop and storage area, then finally, offices for the city after the property was purchased for the City Utilities. One story stone rubble, symmetrical with porch across front, chimneys at both ends, 2 over 2 windows, two doors at front and back, large stone lintels, no sills. Marker #2857 - 1981 This limestone commercial structure was built for Joseph Dienger (1859-1950) shortly after he purchased the site in 1884. The ground floor housed his grocery and the second floor provided living quarters for his family. A later addition was used for the dry goods store of Dienger`s sisters Lina and Louise. Owned by family members until 1967, the double galleried building features Victorian styling with German influences. 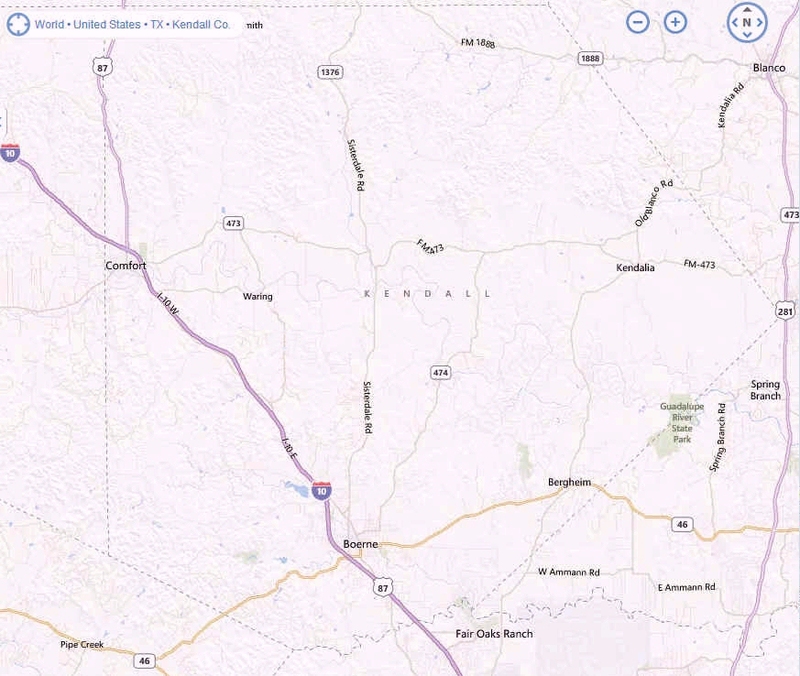 Recorded Texas Historic Landmark - 1980 The plot of land north of the town plaza was purchased by Joe Dienger, oldest son of Karl Dienger, in 1882 for the purpose of building a general store to meet the needs of a growing community. He began by building the first floor, finishing it and stocking it completely before adding the second story. The second story, which was reached by an enclosed stairway on the west side of the building, was home for the Dienger family. Since it was much too spacious, Mr. Dienger turned half of the area into a meeting room. Most of the lodges and clubs held their meetings here and many times their annual feasts or celebrations or anniversary parties. The one story portion on the north side of the building was added later. That part was used to house a dry goods store that was operated by his sisters, Lina and Louise Dienger. These good ladies never married. They gave their entire life to the operation of the store and to taking care of their widowed mother who lived to be 93 years old. They resided at what is now the corner of Hosack and S. Main. See file: Dienger-Eckert House, 108 Hosack Street In 1967 a group of Boerne business men purchased the building visualizing it as a restaurant/supper club. The Antler's Restaurant was born. They rented the north part of the building to a grocery store owned and operated by the Rodriguez family (the local family managers were Anna and Michael Schoch) In 1982 the building was again sold, this time to Bill and Paige Ramsey-Palmer. They again renovated the building to suit their needs. In 1991 the building became the home of the Boerne Public Library after extensive internal alterations. Alterations were done very carefully to maintain the outside the integrity of the building.